Buying preferred stocks can be one good alternative to buying bonds. In fact, by historical reference, preferred stocks pay higher return on investment compared to bonds. A preferred stock works like debt and equity at the same time, enjoying the best of both worlds. When you invest in a preferred stock, you will receive fixed dividends regularly within the year as if you are receiving interest income when you lend your money to the company. As a preferred stock investor, you also get to participate in potential share price appreciation similar to common stocks that are traded in the Philippine Stock Exchange. Because preferred stocks are traded, you can invest as low as Php10,000 and make your buy and sell decisions easily on real-time basis whereas in bonds, you need to meet a minimum investment amount and have to go through brokers where execution may take longer than 24 hours. Not many investors are aware that preferred stocks also enjoy a certain tax advantage over bonds. The interest income that you get from bonds is normally charged with a final tax of 20 percent while dividends from preferred stocks are taxed only 10 percent. The extra 10 percent tax savings help preferred stocks to have higher yields over bonds. If you are buying preferred stocks in the stock market, dividend yields are determined by dividing the fixed dividends with the current share price. The dividend yield of a preferred stock falls when its share price increases. If you are investing, you would want to buy it at a lower share price so you can lock in a higher yield. Similar to bonds, there are also risks in investing in preferred stocks. Preferred stocks give companies the flexibility to delay payments of dividends when they experience financial distress. Sometimes when the financial situation worsens, you may have to wait for your dividends indefinitely. Before you buy preferred stocks, make sure that the company is financially capable of paying its dividends on time. You can do this by reviewing its profitability and financial performance. Always ask yourself: what is the probability that the company will fulfill its promise to pay dividends consistently? Can it generate enough cash flow to cover the projected dividends aside from the existing interest expenses? Leisure and Resorts World is the leading retail gaming company in the Philippines that provides multi-gaming platforms and products. The company operates professional bingo games with 35-percent market share. It also operates online gaming as well as casino and property ventures. Net income of the company has grown from Php323 million in 2013 to Php1 billion in 2016. In 2013, the company issued preferred shares at Php1 per share that pays 8.5 percent or Php0.085 fixed dividend every year. The company has been paying dividends consistently for the past three years. At the current market price of the preferred stock, the dividend yield stands at 7.87 percent. San Miguel Corporation (SMC) is the largest publicly listed food, beverage and packaging company in Southeast Asia. 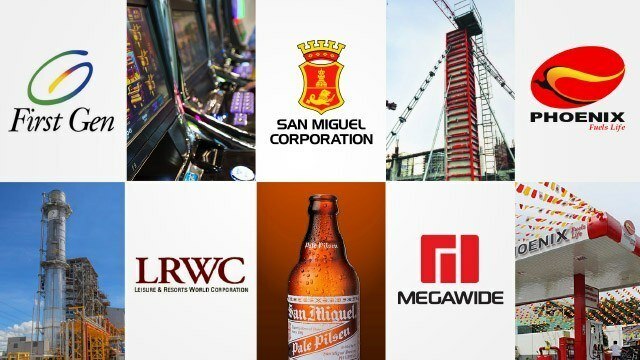 SMC has ventured beyond its flagship product, San Miguel Beer, one of the top selling beer brands in the world, to other industries such as fuel and oil, power generation and infrastructure. The company has eight series of preferred shares listed in the market. SMC2B currently has the highest dividend yield with 7.5 percent in the group. This is followed by SMC2C with yield of 7.44 percent, SMC2F at 6.35 percent, SMC2G at 6.21 percent, SMC2H at 6.02 percent, SMC2I at 6.01 percent and SMC2 at 5.97 percent. First Gen is one of the largest independent power producers in the Philippines. The company owns power plants that utilize natural gas, geothermal, wind, hydro and solar power. The company has two series of preferred shares. FGENF pays a fixed dividend of Php4 semi-annually and currently has a dividend yield of 7.12 percent. The other one is FGENG, which pays a fixed dividend of Php3.89 semi-annually and has a current dividend yield of 6.77 percent. The company has been paying its preferred dividends consistently since 2012. Phoenix Petroleum is engaged in the trading of refined petroleum products on wholesale and retail basis. It also operates gas stations, oil depots, storage facilities and allied services. The company also distributes lubricants and chemicals under its own brand. Last year, the company achieved over Php1 billion net income on the back of Php30 billion sales. The company has two series of preferred shares in the market, PNX3A and PNX3B. PNX3A pays fixed dividend of Php1.857 per share every quarter or Php7.428 annually. At current share price of the stock, the dividend yield stands at 7.07 percent. PNX3B, on the other hand, pays Php2.027 per share quarterly or Php8.108 annually. The dividend yield of the stock at the current price is 6.7 percent. Megawide Construction Corporation is primarily engaged in general construction that employs advanced technology building systems such as pre-cast concrete and formwork systems in its projects. The company last year earned Php1.5 billion on total revenues of Php17 billion. In 2014, the company raised Php4 billion by selling preferred shares. The company’s preferred share promises to pay 7.025 percent per year or Php1.75625 per share quarterly. At the current price of the preferred stock, the dividend yield of MWP stands at 6.49 percent.